Polaris Adventures, the first-ever national network of premium ride and drive experiences, and a division of Polaris Industries Inc., celebrates its one-year anniversary this month as well as its growth from three locations to over 60 locations across the country. Polaris Adventures began as an idea to bring safe, memorable vehicle-based adventures to a broader, national audience. After years of planning, Polaris Adventures came to life on Nov. 30, 2017, delivering over 25,000 ride and drive experiences in the last year. As local area experts, Outfitters become certified through top customer service ratings, best ride practices and unique ride and terrain offerings. Since launching in 2017, Polaris Adventures has expanded into the tropics of Hawaii, deserts of Arizona, mountains of Colorado, forests of West Virginia and more. 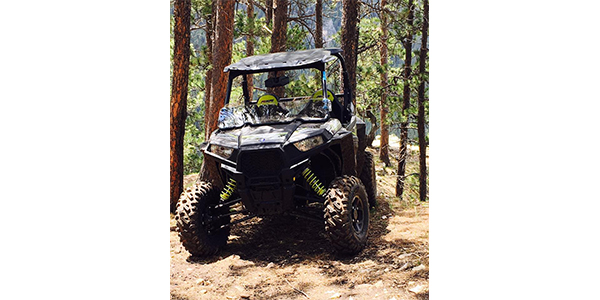 The program supplies Outfitters yearly with the latest Polaris vehicles on the market as well as the tools and resources to offer premium experiences. Based on seasonality and terrain, vehicles are equipped with intuitive navigation and accessories tailored to the local environment to allow people of all skill levels to ride and drive safely. The lineup includes side-by-side off-road vehicles with the Polaris RANGER, RZR and GENERAL; snowmobiles with the RMK, INDY, Switchback and RUSH; and Slingshot moto-roadsters.